It's that time of the year when eye protection from the sun's harmful UV rays becomes more important but we all know that as well as protecting our eyes and skin from the sun's Ultraviolet radiation, sunglasses are also great accessories for looking stylish and individual. So it's timely that there's currently a great SmartBargain offer on Fashion Designer Sunglasses. This promotion covers a good range of brands including Carrera, Christian Dior, Diesel, Fendi, Nautica, Nike, Police, Ralph Lauren and Ray-Ban, in most colors and in Aviator, Round as well as Square and Rectangular styles all discounted up to 60% off!!! For him, I like the Nautica Men's Lanai sun glasses with shiny dark grey frame and lightweight polarized lenses providing 100% UV protection. These Nautica sun glasses have been discounted down to $49.99 saving you 54%. For men I also like the Polo by Ralph Lauren sun glasses in a Tortoise plastic frame with brown polarized lenses and are good value discounted down from $130 to $79.99, a saving of 38%. While the range is mainly for men, there are a number of unisex sunglasses that are worth a look at including the Ralph Lauren Unisex 1524 sun glasses discounted down from $250 to $119.99, a saving of 52%. There's a choice of two colors as the Ralph Lauren Unisex 1524 Sunglasses are available in either Brown Metal and Cognac Metal. The Carrera Unisex CA913S Polarized Sunglasses discounted down from $100 to $59.99, a 40% saving are also nice looking and stylish. 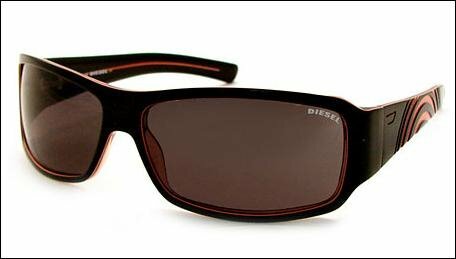 However, my pick out of this complete range of Designer Sun Glasses, are the Diesel Unisex DS0021/S-0KE3 Sunglasses discounted down from $150 to $79.99, giving a saving of 46%. I like the style and the design of the Diesel DS0021/S sun glasses as shown in the image above, in a rectangular frame with a spiral design in a contrasting color on the temples and frame. They're lightweight and have scratch/impact resistant, 100% UV protection, polycarbonate lenses. If you're after a new pair of designer sun glasses at an affordable price then if you shop around you'll see that these are really great prices and with an additional 20% limited offer on these, see the Special Offer, then SmartBargains is worth a visit.